Jerome, Arizona is an awesome place. Built in 1899 and supported by copper mines, the town is now considered one of the most haunted places in the US. This charming house belonging to the owner of Rickeldoris Candy & Popcorn Company caught my eye due to the rich color amongst a hill covered with older structures. I hope the color of this house never changes. Check out this video that Kimberly shot of my work in progress. 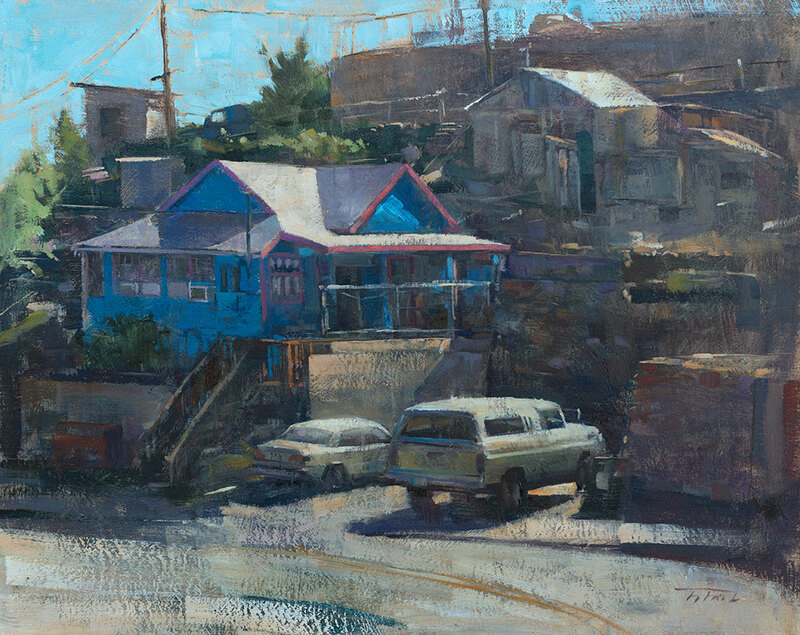 The painting went on to win Best of Show at the 2016 Sedona Plein Air Festival, and is featured in the 2018 June/July issue of Plein Air Magazine, as part of a feature article on my journey as a plein air painter.